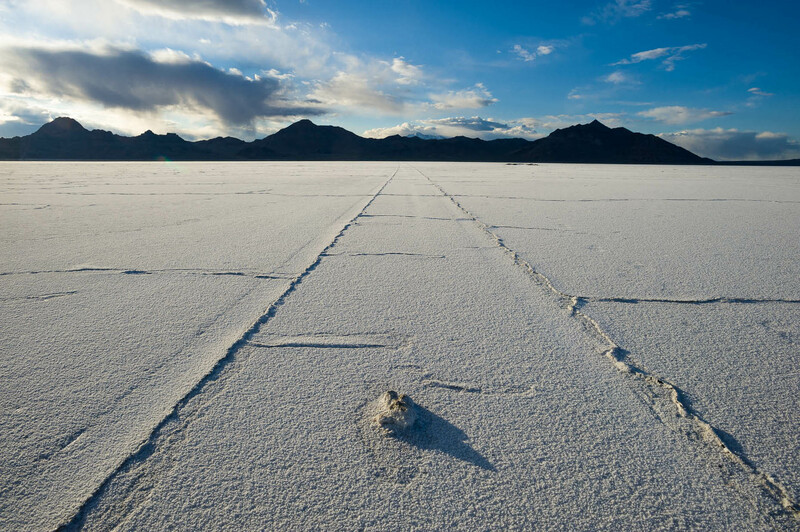 Receding tire track lines in Salt Flats, Utah with blue sky and mountains on horizon. Receding tire track lines in Salt Flats, Utah with blue sky and mountains on horizon. Bonneville Salt Flats, Utah.